On three consecutive days of November 25-27, 2009 (Thanksgiving Day, and the days before and after), disturbing e-mails were sent by an anonymous person to Spencer C. Young, his mother (Edna May Young), sister (Denise Vallarino) and fiancee' (Leah Krier). 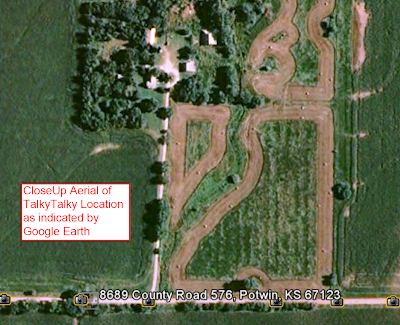 The e-mails originated from a dial-up internet connection at a farmhouse located 25 miles northwest of Wichita, Kansas. The address is 8652 NW 120th St. Potwin, KS 67123, and is owned by Joyce M. Taylor, who received title in April 2009 from the Thelma Vogelman Living Trust. Shortly after receiving title, Ms. Taylor recorded "Transfer on Death" deeds, which will bequeath ownership to Fred Whitmore and Mary Ann Mercado. Others who may have information about these mysterious emails are Mr. Whitmore's sisters: Lacey Yordy, Teresa Rooding and Venissa Whitmore. The associated evidence can be accessed by clicking here. If you know any of the people listed below, please post a comment and/or send an e-mail to: Responses@SCYInv.com. Thank you.